This magnet or wall hanging plaque is suitable for all year round. Sometimes it’s easy to miss school dates so now you can keep all your school letters or notices all in one place. 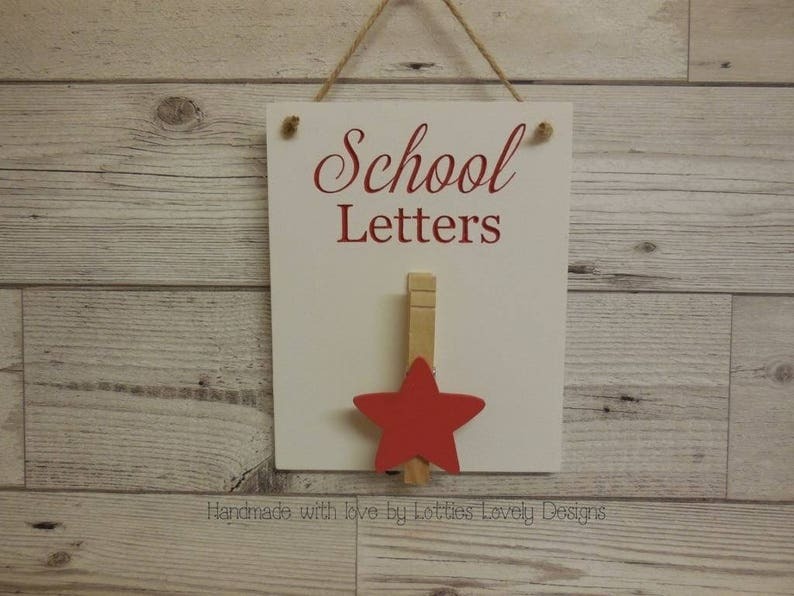 This can be painted in any colour of your choice with a star to match the writing colour & I can also match school colours if requested with a natural looking wooden peg.